The rumors of him joining the grand alliance came after his son-in-law and Dalit Sena President Anil Kumar Sadhu joined the RJD in March this year. 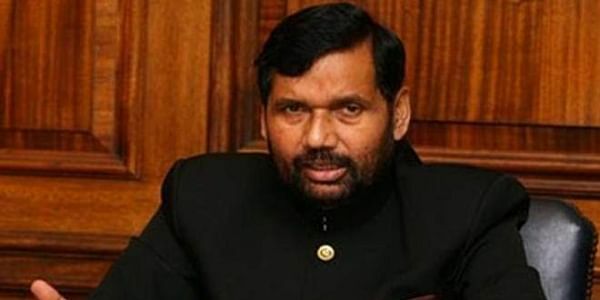 PATNA: Lok Janshakti Party (LJP) chief and Union Food and Consumer Affairs Minister Ram Vilas Paswan on Friday refuted the reports of joining the Rashtriya Janata Dal-led grand alliance. Earlier, a senior RJD leader Raghuvansh Prasad Singh had sent ripples by claiming that Paswan was in touch with their leaders and that he would join the RJD-led opposition alliance before the Lok Sabha polls. However, Paswan had rubbished the claims.